My husband loves World War II history and this was one of the visits he wanted to make when we traveled down south. He was not disappointed. While there we saw several artifacts owned by General Patton, even down to his famous pistols. 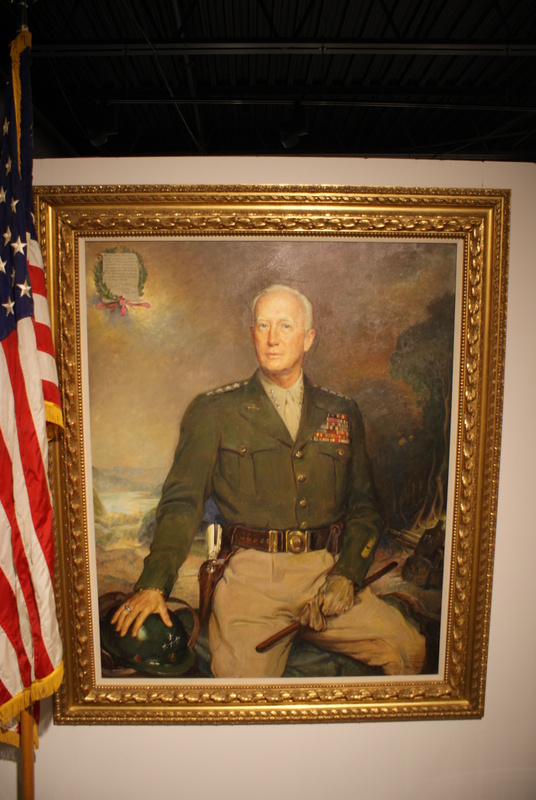 George Patton was born on November 11, 1885 in San Gabriel, California. As a young man, he attended the Virginia Military Institute and graduated from the United States Military Academy at West Point on June 11, 1909. He is so famous for World War II that we often forget that this was not his first fight; he also was a major player in WWI where his Armor corps achieved victory at the first major American offensive at St. Mihiel in September 1918. During WWI Patton was shot in the leg and from this wartime wound he received the Distinguished Service Cross for Heroism. In World War II Patton served in North Africa and the Seventh Army in Sicily. Located 4554 Fayette Avenue, Fort Knox, Kentucky 40121-0208, call (502) 624-3812 for information. The museum is open weekdays from 9:00 a.m. to 4:30 p.m. Tuesday – Friday (Eastern Standard Time). The museum is closed Mondays and Sundays and on Saturdays and Federal Holidays is open from 10:00 a.m. to 5:30 p.m. Eastern Standard Time. Admission to the General George Patton Museum is free. The museum is open to the public. You can enjoy a self-guided tour or to book a group tour with a tour guide, please call 502-624-6350. Previous Post: Biograph Theater where Dillinger met his demise!